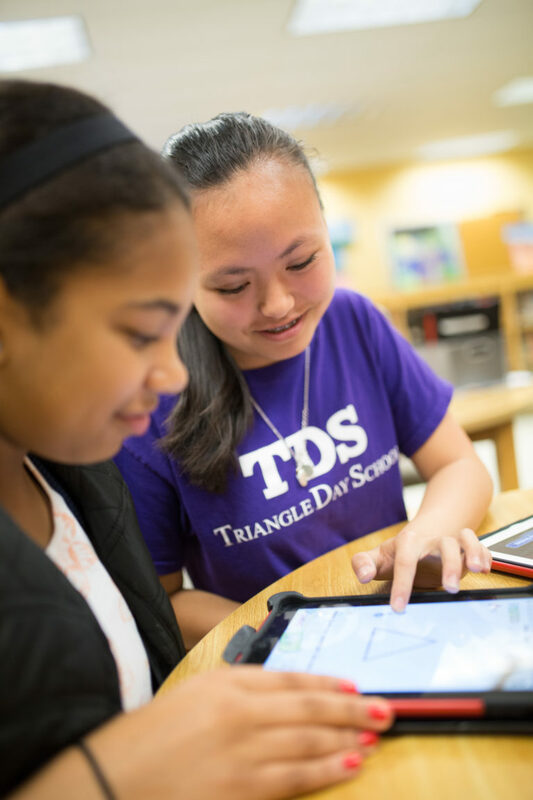 The ultimate goal for the use of technology at TDS is curriculum integration in order to enrich student achievement and foster lifelong learning. Through the use of technology, students learn to be producers, as well as consumers of information while practicing and exercising digital ethics and citizenship. Part of our social and emotional development is guiding our students to encourage appropriate, responsible behavior with regard to technology use. At TDS, we use Google Apps for Education as a platform for most of our classes. Students in grades 2-8 have restricted TDS email accounts in order to join their teachers’ virtual classrooms. Virtual classrooms consist of assignments, questions, communication amongst peers with peers and students with the teacher. In Middle School, computers are used as tools, both in and out of the classroom, to help create and organize documents, conduct research, write code to run programs, complete labs, format yearbook, etc. We use Common Sense Media as a basis for our Digital Citizenship curriculum. Students are taught to evaluate websites for reliability and appropriateness. They also learn what actions denote plagiarism, how to correctly cite digital and print media resources, and how to effectively search the Internet. At every level, the curriculum guides the use of the technology in meaningful ways. 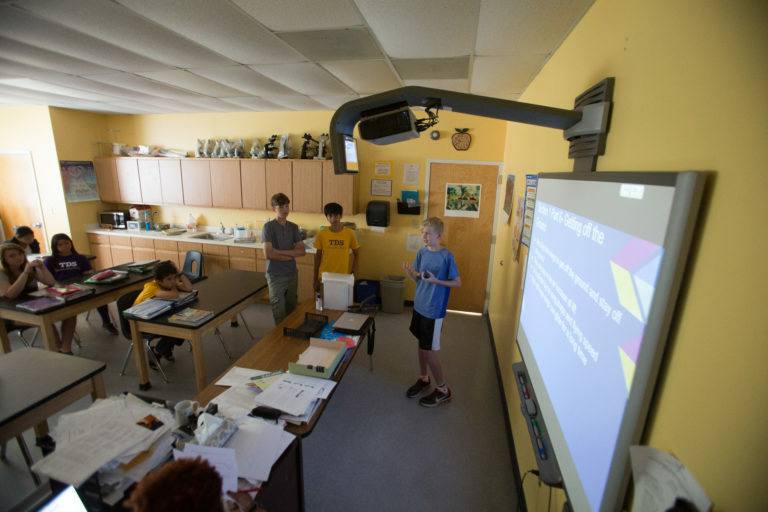 In addition to laptops and desktop computers, there is either a SmartBoard or Smart TV in each classroom (grades K – 8). Students use these interactive white-boards on a daily basis; a Kindergartner can be seen “dragging” words with his finger into the “action box” (to learn verbs), while an 8th grader will run a real-time simulation in Science to watch how individual elements behave differently when brought into a compound. Most recently, iPads and Chromebooks have become an integral part of student education at TDS. Transitional Kindergarten students explore one-to-one correspondence on iPads when they feed their virtual numbered fish the correct amount of food pellets, and the fish gets larger if they are right! In Middle School, students use approved applications and are part of our 1:1 Chromebook program. For example, Geometry students explore interactive relationships within triangles by changing angle measures and side lengths with a slide of their fingers. Triangle Day School teachers participate in professional development opportunities to remain updated and informed on the most effective programs.